Three Light Years Box Set – JET BX1. 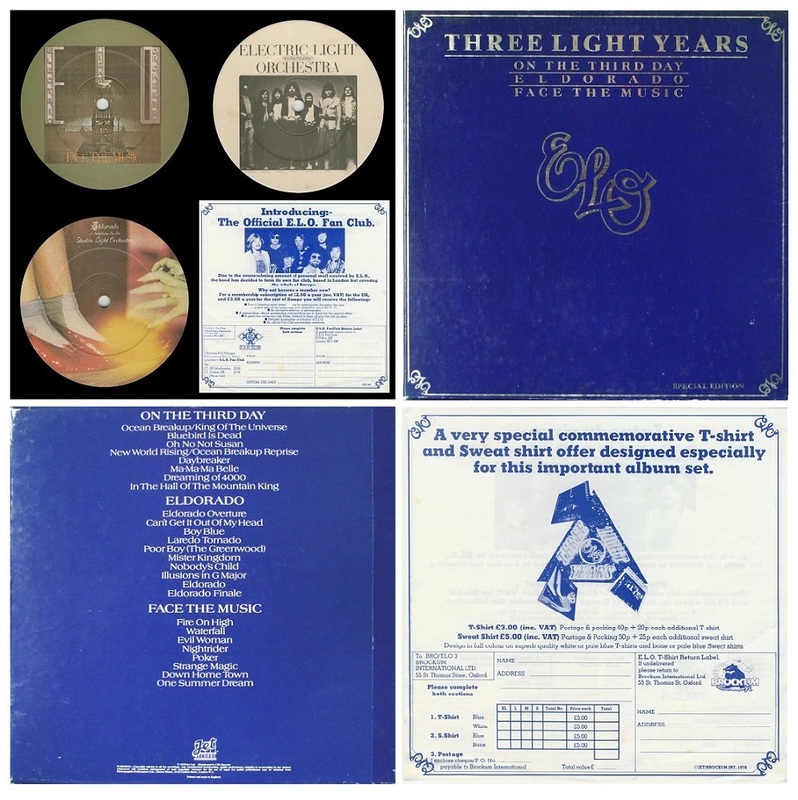 The box set contains 3 ELO LPs – On The Third Day/Eldorado/Face The Music. 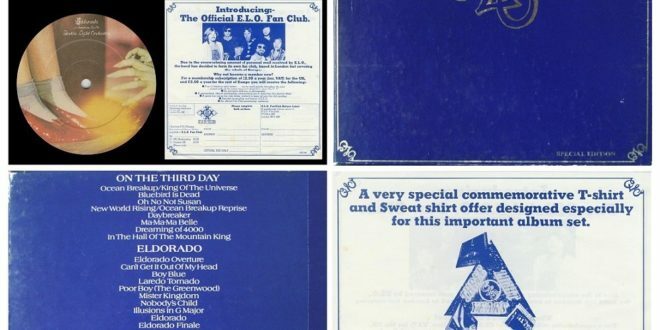 Also contains a lyric and information booklet and membership/merchandise leaflet.